Let it be said that stem cell therapies may well be the future of medicine, but untested stem cell therapies have the potential to give rise to the stuff of nightmares. Case in point: the unnamed cosmetic surgery patient in this piece by SciAm's Ferris Jabr, who, after dropping 20 grand on an untested, non-FDA-approved facelift that made use of her own stem cells, grew some extra bones in her face. 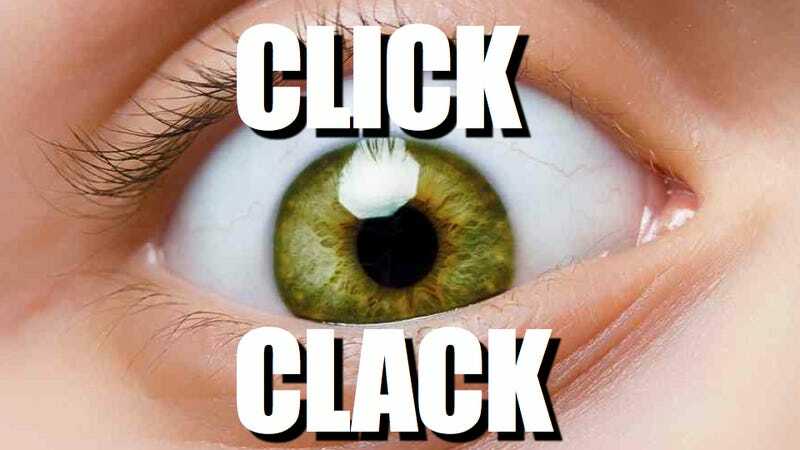 In her eyelid, to be exact (her right eyelid, to be very exact) that would click-clack "like a tiny castanet snapping shut" every time she forced the lid open to see. The snapping lid caused the woman considerable pain, enough that she eventually had no choice but to seek out medical attention. About three months earlier the woman had opted for a relatively new kind of cosmetic procedure at a different clinic in Beverly Hills-a face-lift that made use of her own adult stem cells. First, cosmetic surgeons had removed some the woman's abdominal fat with liposuction and isolated the adult stem cells within-a family of cells that can make many copies of themselves in an immature state and can develop into several different kinds of mature tissue. In this case the doctors extracted mesenchymal stem cells-which can turn into bone, cartilage or fat, among other tissues-and injected those cells back into her face, especially around her eyes. The procedure cost her more than $20,000, Wu recollects. Such face-lifts supposedly rejuvenate the skin because stem cells turn into brand-new tissue and release chemicals that help heal aging cells and stimulate nearby cells to proliferate. During the face-lift her clinicians had also injected some dermal filler, which plastic surgeons have safely used for more than 20 years to reduce the appearance of wrinkles. The principal component of such fillers is calcium hydroxylapatite, a mineral with which cell biologists encourage mesenchymal stem cells to turn into bone-a fact that escaped the woman's clinicians. Wu thinks this unanticipated interaction explains her predicament. He successfully removed the pieces of bone from her eyelid in 2009 and says she is doing well today, but some living stem cells may linger in her face. These cells could turn into bone or other out-of-place tissues once again. Read the rest over at Scientific American.